- João Diniz, born in Juiz de Fora and graduated from the Architecture College, Minas Gerais Federal University, in Belo Horizonte, Brasil, 1980. Master of Arts in Civil Engineering specializing in metal construction from the Ouro Preto Federal University in 2004. Director, JDArq Ltda, since 1989, in projects for buildings, interiors, design and town planning. Golden Medal Award at the Global Forum of Young Architects, and Rotring Award, in Buenos Aires, 1991. - First Place in the BHCentro Contest, in teamwork, 1989. Accepted the Awards Dwelling Space, Constructed Building, Monographic Edition on his work, Theoretical Book and and Steel Architecture from IABMG, 1997, 2002, 2008, 2010, 2011, 2013, 2015, 2017. Third Place in the contests for Campus II, and for the new Principal’s Office for Fumec University, 2003 and 2004. Honor Mentions at the 4th Ibero-American Biennale of Architecture and Engineering, Quito, Ecuador, 2004, and Competition for Remodeling the Florianopolis Market, 2013. Ville de Saint Pierre Award, Martinique 2007. Supervisor, Highly Commended Project EcoHouse Student Competition, RIBA, London 2007. - Special Installation at the 5th International Architecture Biennale in Sao Paulo, 2003. 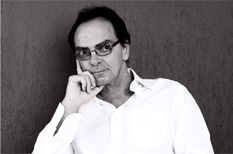 - Professor to the Architecture Program, Fumec University, Belo Horizonte. - Delivered lectures, courses and workshops in several universities and professional institutions in Brazil, Argentina, Dominican Republic, Martinique, Spain, France, Germany, Lithuania, Bulgaria, Slovakia and Poland.